Texplainer: What's a Tier-One University? There’s no universal definition but essentially, the term refers to the country’s top research-focused universities. While there are specific benchmarks to be considered part of that group, some aren't clear or rely purely on perception. Hey, Texplainer: What do people mean when they say a university is "tier one?" Great question. There’s no universal definition of the term, so unfortunately, there’s no great answer. Essentially, the name refers to the country’s top research-focused universities, also referred to as “national research universities.” But some of the benchmarks to be considered part of that group are not clear or rely purely on perception — which can be difficult to change. 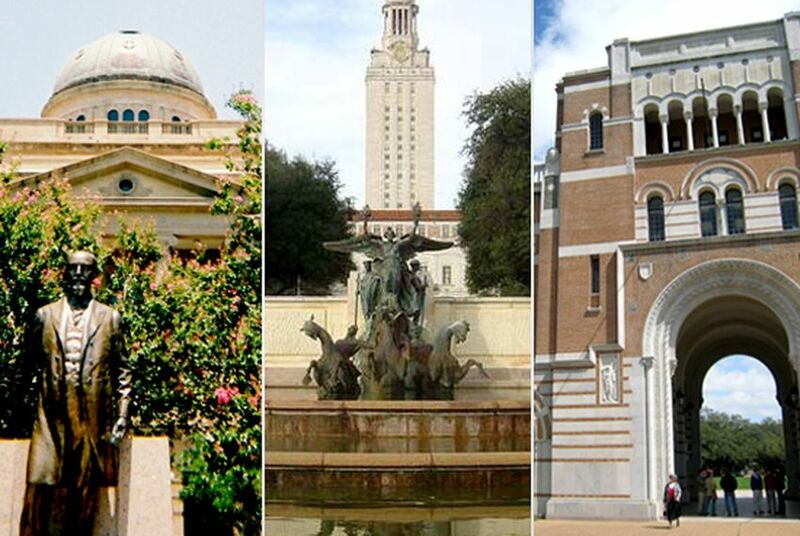 Texas has three — two public, one private — universities widely recognized as tier one: the University of Texas, Texas A&M University and Rice University. In 2008, David Daniel, president of the University of Texas at Dallas, began a strong public push for the development of more tier-one universities in the state. “Top-tier universities are engines of incubation, creation, and attraction of talent,” he wrote. His initial pitch offered up the following definitions: membership in the prestigious Association of American Universities, annual research expenditures of $100 million or more and high rankings in U.S. News & World Report. In 2009, the Legislature passed House Bill 51 by state Rep. Dan Branch, R-Dallas. This set up a system of incentives for seven “emerging research universities” — Texas Tech University, the University of Houston, the University of North Texas, and University of Texas campuses in Dallas, Arlington, San Antonio and El Paso — to grow their research capacity. To gain access to the biggest chunk of money, the schools must meet certain criteria, which is the closest we have to what "tier one" means for Texas. The criteria include easily measurable metrics such as an endowment of at least $400 million, at least 200 Ph.D.s conferred in each academic year of the preceding biennium and at least $45 million in expenditures of restricted research funds in each fiscal year of the preceding biennium. Others, like an entering freshman class that demonstrates “high academic achievement” and an institution that demonstrates “a commitment to high-quality graduate education,” are less objective. Another box to check is membership in the Association of Research Libraries or having a chapter of the honor society Phi Beta Kappa on campus, though that may be fudgeable depending on what groups are deemed to be “equivalent” to those. UH, for example, was recently upgraded to the Carnegie Foundation for the Advancement of Teaching’s highest classification for research universities. Only the restricted research funds requirement seems non-negotiable. Of the six other thresholds, four have to be met. Even that seems excessive to some. Diana Natalicio, the president of UTEP, says schools that are so different in many ways should avoid getting bogged down on details and focus on just two things: $100 million in annual research expenditures and 200 doctoral degrees awarded. Ultimately, a tier-one university is a research university that has what it takes to be considered among the best — whatever that means. Got a question for Texplainer? E-mail us at texplainer@texastribune.org.